As we get to the birthday of our country again I see more and more hatred building. It is unrest and it is growing. I can’t blame anyone for being upset at the discomforts the world has dropped at our feet, but that is no reason to turn against the freest country in the world. 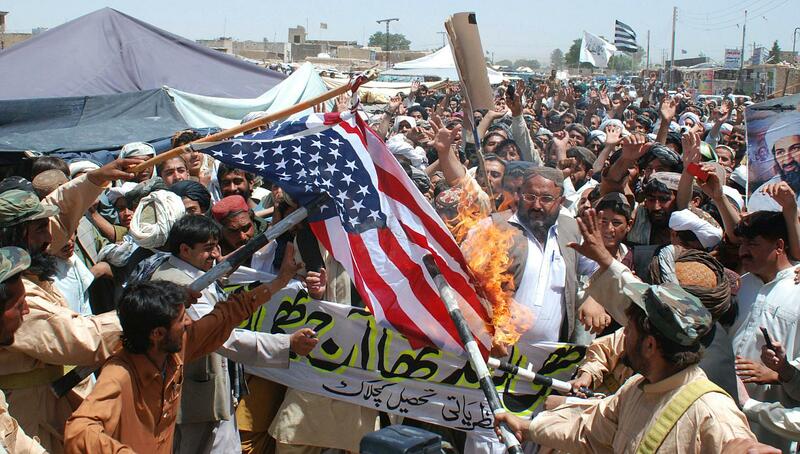 The flag burning is specifically what I am referring to. Though it may be just a piece of material to idiots trying to get themselves some publicity, there are many who watched their friends die at the hands of enemies of this country and that flag means something to them. In the interim anything that can be done to soften up the American people will be taking place. Even though most of us object to a flag burning I think on a subconscious level we are watching the flag burn and there is nothing being done. The supreme court has already ruled it ok and if you beat the living crap out of these flag burners (which they deserve) you go to jail. So What can be done? Well, this week when some flag burners showed up to show off in New York’s Fort Greene Park they were met with an angry mob of protesters as usual but this time a motorcycle gang showed up and took matters to a physical level. I suggest that the way the flag burners ran away so fast that they may have been part of the French army!! I won’t go so far as to promote violence, but this is a perfect example that when you show these jerks that they will have a bad day they run away. HAPPY 4TH ! !